The Thursday Interview: Rachel McGrath. 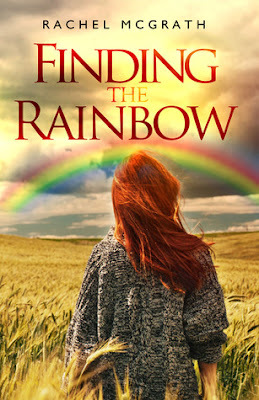 Today I'd like to welcome Rachel McGrath, author of “Finding the Rainbow” to The Thursday Interview. Before we get started, a quick intro! 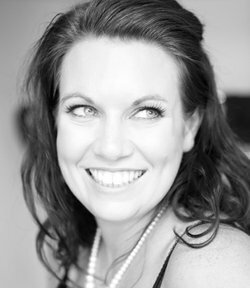 Rachel McGrath grew up in Brisbane, Australia, where she studied business, before moving to the United Kingdom in her early thirties. She currently lives just north of London in Hertfordshire, where she met and married her husband, and has a professional career in human resources. Rachel has always had a passion for writing both fiction and non-fiction. Since her early teens, she has created many short stories as well as smaller pieces that have never been published. Finding the Rainbow is her first published work, a memoir capturing a difficult time in her life. She is passionate about sharing her story with a wider audience. Well in the extreme circumstance, and we are talking Liam Neeson, ‘Taken’ kind of scenario, I would beg borrow and steal for my loved ones. I think when you have someone so special in your life you become unaware of any boundaries when you think that they are seriously in trouble, and you lose sight of the consequences. Whilst I’ve never been in a scenario like this as such, I know I’m passionate enough to fight for the ones I love. Being alive is breathing in and out day by day, going through the motions to plug into a lifestyle that is expected. Truly living is not just watching others and wishing, it’s going out and capturing your dreams, making them a reality, taking risks, fighting for survival, not taking orders but creating options, working towards achieving those things you had always aspired towards, finding ways to make life happen the way you want it to. It’s the ability to translate the myriad of thoughts, imaginings, hopes and dreams in my head, and placing them on a blank sheet of paper in a way that helps people to understand me better. Writing is my outlet, my calm, my solace; and I find truth in what I write, more than what I can say. Interesting question given my own story. My belief is that it is legacy, hoping to ensure that life lives on through a piece of you. It helps create a future, something we can live for, pass on, nurture and grow. Human beings (and I have to believe this despite everything I read in the news) are essentially built to help others, cultivate mankind into its next generation, help other humans develop and grow. Part of this is offering a piece of you through your own children to hope that they mature into a person that will make a difference in the future to our world – in a good way of course! No.5 What was the biggest challenge in creating your book "Finding the Rainbow " ? Capturing the multitude of thoughts, feelings and emotions I was going through and then placing them in a manner on paper that would help the reader to understand me and what I was experiencing. The even bigger challenge was deciding to publish it. It is such a personal story, something so deep about an experience that is so intimate. Sharing that with a broad audience opens my experience to others but it is also exposing and frightening as now I wait for feedback from its readers. Don’t give up, don’t lose hope, life always brings you options. You may not have thought you would face certain obstacles and some things won’t come as easy as you planned, but that is never the end of the road, there is always a corner you can manoeuvre around. Whilst this may take you somewhere you hadn’t expected, be open to it, as it may be surprisingly a good thing. No.7 How did you come up with the title "Finding the Rainbow " ? The Rainbow is something beautiful that appears after a storm. Rainbow baby is the term for the baby that arrives after a loss or miscarriage (the storm). Whilst a storm may have caused damage, and you can still see the storm clouds (you never forget the losses you have had) the rainbow gives you hope that the sun is about to shine. ‘Finding the Rainbow’ my book, is about finding that colourful ray of hope, always looking forward but knowing that the storm will always be my experience in getting there. In my professional career I have to deal with criticism day in and day out. However, this book is very personal to me, so it will be interesting how I respond specifically to the critics. Personally however, if someone provides me with criticism that is constructive I’m open to it. All I ask for is observations and justification and I can then work on that. I always strive to improve myself, and so I’m always telling myself, ‘feedback is the breakfast of champions’. Something someone said to me a long time ago and it stuck with me. Whilst my book covers a specific subject area of fertility, miscarriage and loss, it is also about a relationship, a couple going through a very challenging time early in their career. It is also about finding your way through obstacles – something many people face in a myriad of scenarios throughout life – and not giving up. I hope people will want to read it, as it is a personal perspective and I appreciate everyone handles their own circumstances differently. However, I would love for it to be read widely and not just by mothers in the same situation, in the hope that people connect with it, with me. Something is constant, it is varied, and it is continuous. You could say that ‘nothing’ doesn’t exist, as even when someone says nothing, it is still something. The something is nothing. How do I know? Ask anyone. Ask me what I’m doing? I say ‘nothing’, but that’s untrue, I’m responding to you, so I am doing something. Even if to me it feels like nothing, my nothing was the something you were seeking in your question. For taking the time to answer my questions & the best of luck with your new book! Finding the Rainbow is a fascinating and honest insight into a world that most would find difficult to understand, and many would be quietly thankful not to need to. McGrath tells the story of her battle to conceive and carry a baby, with unrestricted honesty, leaving the reader in no doubt as to her thoughts and feelings, and the courageousness with which she deals with a very difficult period in her and her husband's lives. This emotive account draws attention to some of the otherwise unknown aspects of infertility and miscarriage, whilst still leaving room for humour, happiness and philosophy. The first book for Rachel McGrath, she writes about her battle with her body, her mind and the health service, whilst showing an incredible amount of inner strength, elegance and poise.